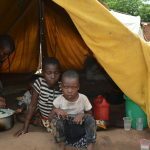 Nsanje, a district in the southern tip of Malawi, was ravaged by Cyclone Idai two weeks ago. Property, crops and livestock were swept away by raging floods. Typically, the lowlands of Nsanje, one of the most fertile areas in Malawi, would be covered with a variety of crops ready to harvest this time of year. Instead, fields are currently inundated with knee-high muddy water. The flooding has left many families homeless and destitute. More than 20 camps have been officially registered in the district to provide shelter for people whose houses were destroyed by the floods. Life in the camps is not easy. Bitilinyu, situated about 25 miles from Nsanje town, is one of the camps supported by CARE. The camp houses nearly 2,000 households. The majority of the people in the camp are women and children. Christina Fachi, a mother of five arrived, at Bitilinyu two weeks ago after her village in Kasume was flooded. She lost her two huts, a granary and some livestock. Many tents at the camp house two to ten families. But the majority of people sleep under an open shed in the middle of the camp. When it rains, the shed floods, forcing the people to either stand the whole night or crowd into one corner. Most residents of Bilitinyu camp share Dimingu’s sentiments – they are afraid to go back to their villages. Many would prefer to resettle upland, but they can’t. If they were to relocate, they would not have a place to farm. Almost 80 percent of the affected families depend on farming for income and their livelihoods. In the past, land was distributed free by chiefs to those who wanted to resettle. But now, things have changed. Beyond the lack of tents, Bitilinyu only has one water point, which is also used by the host community. 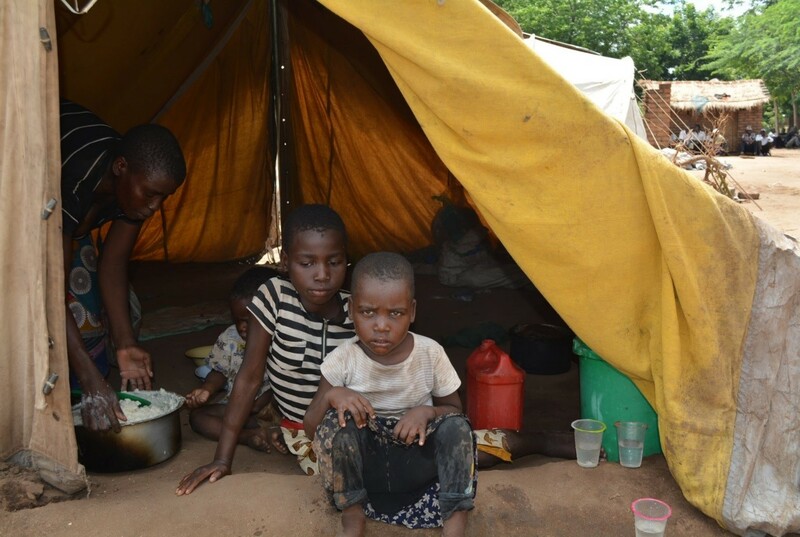 As many staying at the camp lost all they had, including kitchen utensils, fetching water from the single water source, a challenging situation on its own, was even more difficult. To ease the burden, CARE, with funding from the U.S. Agency for International Development (USAID), recently distributed water and sanitation equipment to more than 1,500 families staying at Bitilinyu. Each family received a water bucket, chlorine for water purification and plastic sheets for roofing temporary shelters. According to Mwangitama, the need is still huge as more people are moving into the camp fearing the threat of more storms and floods. “Flooding normally happens in January, but this year, it happened in March. The people are not so sure if they should return to their homes or wait until the rainy season is completely over. We need more support so that we can help those already in the camps and new arrivals who are flocking in,” she says.